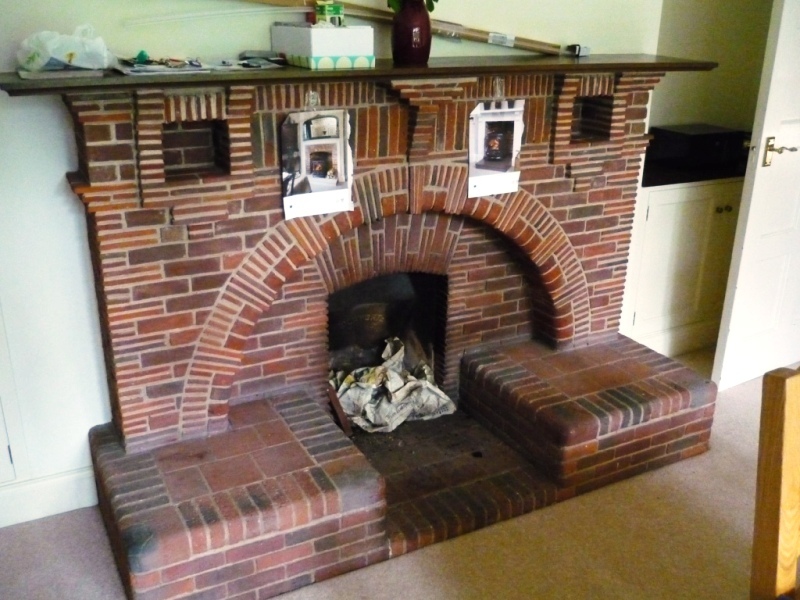 This client had just moved down from London and discussed with a former client about the large brick fireplace in her dining room. 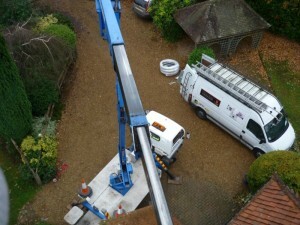 Our previous client had no hesitation in recommending The Billington Partnership to take on the whole project. First of all we discussed all the options with the client. 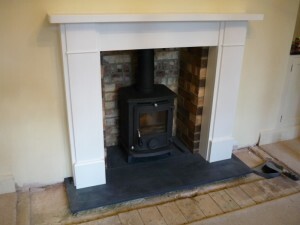 Eventually the client chose a lovely white wooden mantel and the Aga Little Wedlock Classic stove. The stove is the perfect blend of old and new, combining cutting-edge design with traditional beauty. It is a compact stove that fits in almost any space – an ideal choice for smaller homes and standard fireplaces. 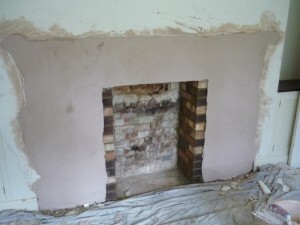 Our initial task was to remove the large old-fashioned existing fireplace. Then we had to plaster the chimney breast to feather in the hole left by the removal. 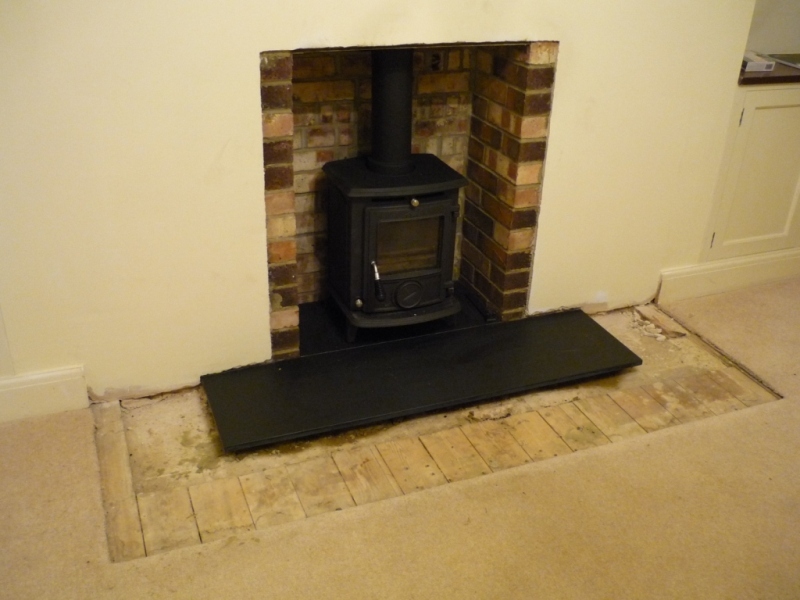 The Aga Little Wenlock Classic stove and mantel installation went well with no issues. 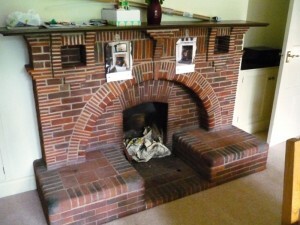 To compliment the rest of the dining room interior, we added new brickwork within the chamber. The result benefits can easily be seen by the size of the cut out in the carpet from the original hearth . The initial fireplace was large and overpowering the room and now the client has a fireplace in proportion the the room both in terms of size and style. 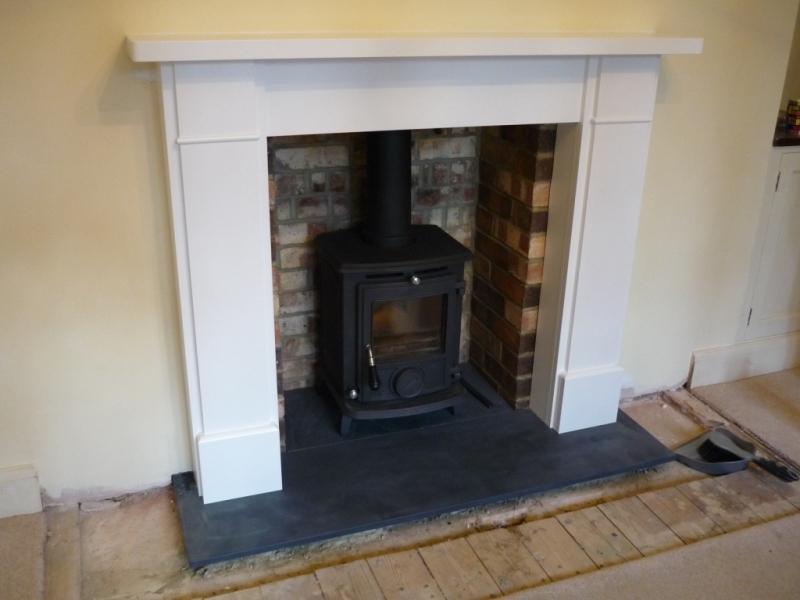 Take a look at another Aga Little Wenlock Classic stove installed by The Billington Partnership.